!!! WARNING THIS VIDEO CONTAINS HUNTING FOOTAGE OF US IN THE FIELD WTIH THE WALTHER PARRUS 22 – IF THIS TYPE OF CONTENT OFFENDS YOU, THEN DO NOT WATCH!!! It’s been a very long time for this to finally come together. We’ve been working to take a coyote with an airgun for quite some time. Our ranch in TX has been covered up with coyote. We have them coming right through our camp and actually eating dog food right from the bowls of our other outside dogs. I knew I had several that frequented my range and other areas so we set out to see if we could get a clean kill with the Gamo TC35 running the Predator International Polymags made by JSB. The results were pretty epic! Thank you for watching AirgunWebTV Episode 43. 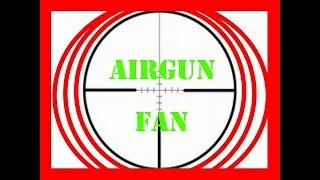 For more information on what you’ve seen on this video, or to learn how to have your products represented on our network, please visit: https://www.airgunweb.com and https://www.airgunwebtv.com.